Home » What are the principles of songwriting? What are the principles of songwriting? 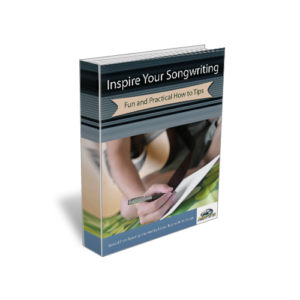 The principles of songwriting include the craft of taking both words and melody to create a song. For a song to be effective it should tell a compelling story. A story will have certain elements. These story elements include: the setup, the conflict and the resolution. The story is developed through the lyrics. The melody needs to be strong enough to stand on its own. The melody will enhance the lyric by adding emotional emphasis. In addition to lyrics and melody a song needs a harmonic structure. The harmonic structure consists of a chord progression. The chord progression is a series of chords that are played behind and enhance the melody. Another important principle in song writing is song form. The song form divides the song into separate but supporting sections. The song form will include these basic elements: verse, chorus, bridge. There are other song form elements but these are the basic ones. There is so much more to songwriting, but these are a few basic principles needed to write a song. « What are some ways to make a song chorus? Here’s a further explanation of the Movie Deadline. Many times movie production begins with an unrealistic shooting schedule. Many times, because of this rushed and under-the-gun approach, time constraints across the board are quite severe. If you are lucky, you will get about a week’s time to read the shooting script, view an extremely rough cut of the movie, write, record, and submit your demo. Whew!